← Traditional Seating Turned Playful! 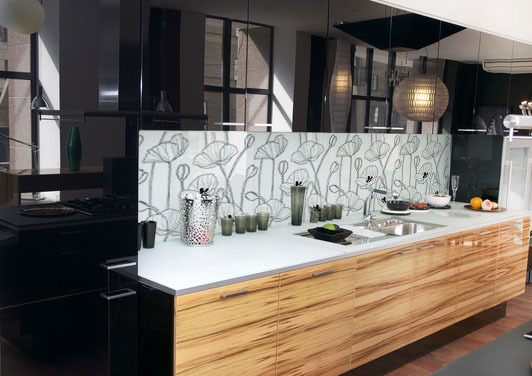 Want to make the ultimate splash to your Wonderland kitchen backsplash? Consider using glass! For the past few years, white subway tiles have been all the rage in kitchens. While I still love the all-white look and absolutely adore subway tiles, the newest trend for kitchens is glass! 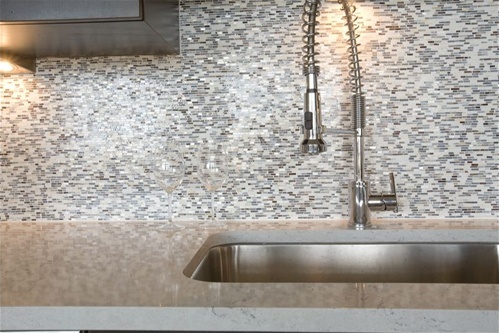 Designers and homeowners are taking the leap in using more exotic backsplash finishes as they are becoming bolder in expressing themselves in their kitchen design. Some are even starting to use stainless steel and brick! 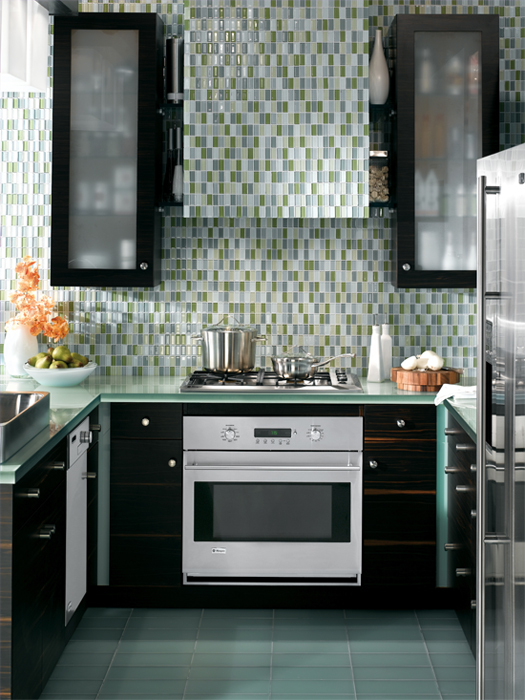 To help you achieve the exact look you want, the glass tiles come in endless shapes and colors. Even if you do not want to bring in a vibrant color into your kitchen you can choose a neutral glass palate. 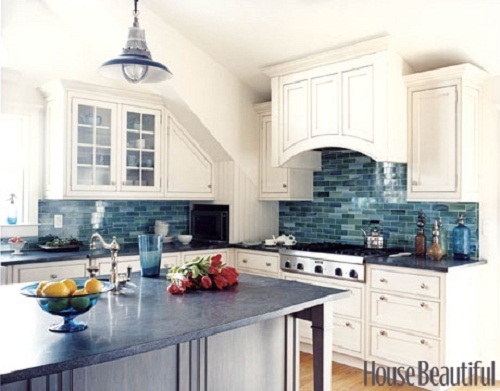 Remember, using a decorative backsplash is a safer choice than painting kitchen cabinets a bold color. If you are looking for a non-risky way to update your kitchen I would recommend a glass backsplash as it will instantly modernize your Wonderland. I would love to hear about your favorite kitchen designs! Leave me a comment below or send me a photo! Keep Dreaming, Designing & Dwelling! I especially like the solid floral backsplash.